As I sit grading papers, watching my students take semester exams, I am reminded of my own high school finals, and the differences between us. It's been over 10 years since I entered high school. It seems odd to put it in that light. I was a shy teenager, and am still a close-to-the-chest adult. But, give me a topic that I have an opinion about, and I can talk your ear off. I see bits of my teenage self in my students. The ones who are passionately interested in a particular subject. The ones who meticulously finish their work, but still have a bad day now and then. They are the ones that remind me every day of the joys of teaching, and the blessing it is to work in a Catholic school. I'm discerning a job change right now. I love my students, my co-workers, my boss, but I have a little one at home, and driving nearly an hour to work takes its toll. If you would pray for me, I would appreciate it. St. John Bosco is the patron saint of my homeroom-- each of the 8 homerooms has one. 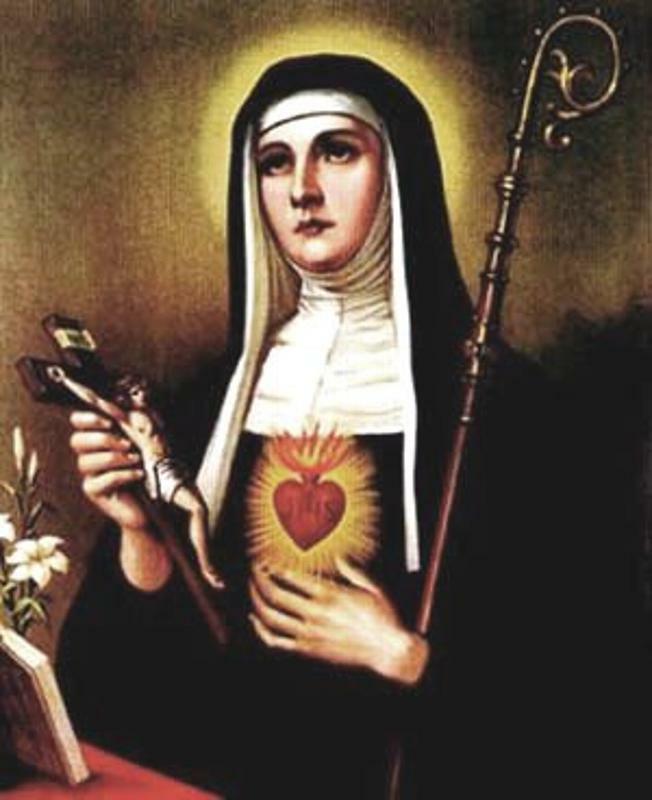 I will be praying for guidance from him as well as my patron saint, St. Margaret Mary Alacoque. I would love it if you joined me. St. Margaret Mary, pray for us! I know how difficult this discernment process is! I will keep you in my prayers that you may find what will work best for your little family.